You may have heard there is a new radio station flying the flag for British hits available on digital radio, via an app and online via your internet radio receiver. Union Jack is broadcasting using the DAB+ standard, receiveable by digital radios sporting a digital radio 'digital tick' on the box, or with the DAB+ logo on the box or radio itself. National stations Jazz FM Stereo, Magic Chilled and Fun Kids children's radio already broadcast using this newer, more efficient standard. 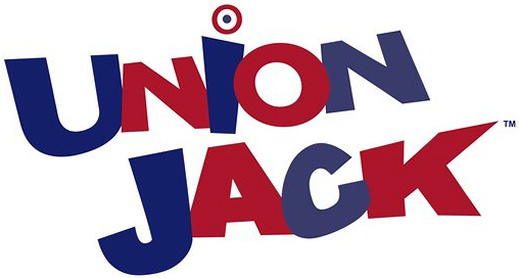 Not only is Union Jack playing the anthemic rock and pop from British-born artists - everything pop and rock from The Beatles to Pulp to Noah and The Whale, it also features comedic interludes and promises new tracks from upcoming and established artists. But to get it, you'll need to tune to UCB 2 or Virgin Radio on your DAB digital radio, wait a few seconds, then look for Union Jack to pop up in your station list. You could also choose Absolute 80s or Planet Rock first, then scroll through a bit further to tune to Union Jack. If you can't see the stations below in your list, chances are you can't receive Union Jack on your DAB digital radio, so you could consider an internet radio receiver instead. No luck? You can also retune your DAB digital radio to see if you can pick up Union Jack, broadcasting as part of the digital bundle that also include Absolute 80s, Awesome Radio, Fun Kids, Heat Radio, Jazz FM, Kisstory, Magic Chilled, Mellow Magic, Panjab Radio, Planet Rock, Premier Christian Radio, Premier Praise!, Share Radio, Sunrise Radio, talkRADIO, talkSPORT 2, UCB 2 and Virgin Radio, which all launched in March 2016. You may not be able to get Union Jack radio on your receiver, as the coverage for this station is smaller than for other national digital stations such as LBC and BBC 6 music. Coverage extends for large parts of England, including major cities like London, Birmingham, Manchester, Liverpool and Bristol. You may not be able to pick up the station in East Anglia, parts of the South East such as coastal and inland areas of Kent, or in most parts of Cornwall. Central Scotland - areas around Glasgow and Edinburgh, South Wales (including South-East Wales (Cardiff) and South-West Wales (Swansea)) are included in the station's coverage area. Parts of North-East Wales and Northern Ireland are also in the coverage area for the digital bundle that carries Union Jack. The station has a website, where you can also submit your music for possible playlisting on the station. To receive DAB+ digital radio services, you need a newer type of radio designed to pick up both DAB and DAB+ digital broadcasts over the airwaves through its built-in aerial. We've links to good models on our pages, or scroll down the page for some quick links to both DAB+ and internet radio receivers. Manchester and Liverpool radio stations, on this website. Wales radio stations, on this website.